Indeed, the extremely active Facebook group, “UPS Dogs,” shows the happy and loving relationships between UPS workers and the dogs they meet every day en route. Getting to know the dogs on his route is one of McCarren’s favorite job perks as a UPS driver, and he knew other drivers felt the same way. Thus, McCarren thought it would be nice to share the bond that the dogs have with their UPS drivers with the rest of the world. Getting the ball rolling wasn’t the simplest task for McCarren, who said that it took him “a couple years” to “connect with drivers all around” to generate enough content for the group. The group was created on Aug. 21, 2013. It’s since garnered over 1.2 million likes and over 1.3 million followers on Facebook. UPS Dogs also has an Instagram account, which has received over 218,000 followers since it’s first post in October 2017. “Dogs are really important to people’s families, they are like their son or daughter, so you try to talk to them and treat them as such,” McCarren said. “What’s funny is — ask any delivery driver and they will tell you — dogs just jump up into the vehicle, wanting a biscuit. Sometimes I’ll go through a couple boxes of treats a week,” says McCarren. 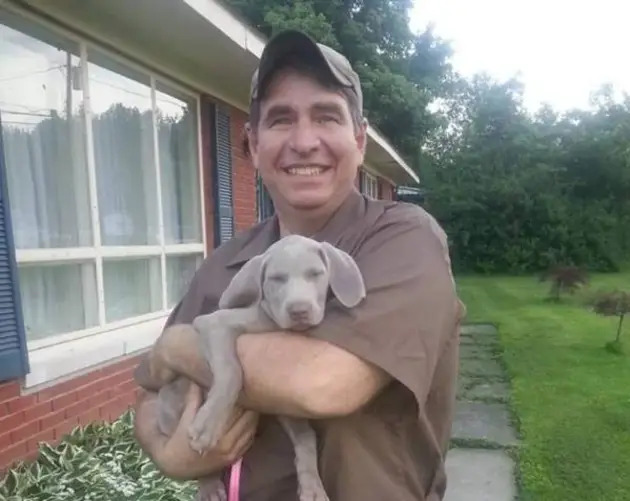 In the Facebook group’s description, McCarren encourages drivers and pet-owners alike to take a snapshot of their dogs interacting with their usual UPS employee and submit it to the UPS Dogs page via email. And although this group isn’t officially owned or operated by UPS, the organization is very enthusiastic about the group and overwhelmingly approves of McCarren’s efforts.